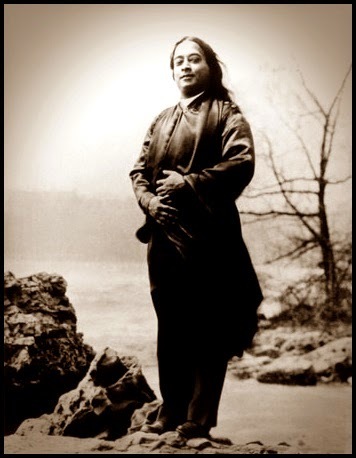 This image of Paramahansa Yogananda at Niagara Falls was found here. Break the limitations of caste, color, race, religious prejudice,and inharmony, that the cradle of your heart be big enough to hold within you the Christ-love for all creation. On every Christmas morn of your inner perception, prepare precious packages of divine qualities and deliver them to the beloved souls who gather around the Christmas tree of inner awakening, to commemorate His birth in understanding, truth, and bliss. Let the omniscient Christ Consciousness come to earth a second time and be born in you, even as it was manifested in the mind of Jesus.